Mutant Abilities: Advanced telepathic abilities that allow him to read minds, influence memories and perceptions, seize control of or manipulate motor functions, and project his consciousness beyond his body in an astral form. History: Charles Xavier was born into a very wealthy family with roots going back to British aristocracy from the Victorian Era. His father was a prominent theoretical physicist and his mother was a well-renowed doctor. They instilled in him an early passion for science and throughout his youth he demonstrated a powerful intellect. By age 10 he scored record IQ tests and was labeled a genius. He skipped several grades and went to all the best private schools and had all the best resources thanks to his family's vast wealth. But Charles's gifted life endured a number of major shocks in his upbringing. The first came with the death of his father, who passed unexpectedly and under mysterious circumstances when he was 11. His mother died of cancer later on when he was 14. Both of these tragic losses affected Charles in a significant way. It was shortly after the loss of his mother that he started picking up on the thoughts and feelings of others. Using his brilliant mind, he discovered that he was a mutant. He became his own greatest curiosity as he eventually learned he was a powerful telepath. He was able to use research done by his mother and discoveries by his father to better understand his talent and he spent much of his teenage years becoming one of the most powerful mutants on the planet. Upon finishing school early, he enrolled at Princeston University where he followed in his parents' footsteps. His specialty was biology and from this he became increasingly fascinated by mutation. He took part in advanced research, but he kept his gifts hidden as mutation was still a new and poorly understood phenonmenon. At about the same time he met a man and fellow mutant named Erik Lensherr. A rogue scholar at the time, Lensherr quickly became one of Xavier's closest friends and through him and his stories about the holocaust he developed a keen interest in humanities. Upon graduating from Princeston with a PHD in biology and physics, he decided to follow Lensherr in his travels to wartorn areas of the world. It was here where he got he first started using his powers to help people. His telepathy allowed him to reach those who had been traumatized by war. It had a profound impact on Xavier, but his life as a humanitarian would soon be cut short. While touring the Balkans, Charles was diagnosed with cancer. Like his mother before him, it was aggressive and lethal. He had only a few years to live for a time and had to hault his humanitarian work to undergo radical treatment. It was a long, hard struggle. It ended up damaging his legs and he eventually had to use a cane to get around. In he end he would lose the use of his legs completely and require a wheelchair. Eventually, he overcame his battle with cancer. But his brush with mortality caused him to re-evaluate his life ambitions. During his battle with cancer, he watched as the world outside him grew more tumultuous. The human/mutant conflict suddenly became a much bigger issue with an explosion of new mutants entering the population. Fear and ignorance was creating a volatile environment not unlike the ones he faced while traveling with Erik Lensherr. As a mutant himself he felt it was his duty to do something about it. He started by renovating an old manor his father owned in Westchester New York. It was here where he would hope to leave his greatest impact on the world. He founded a school which he entitled the Xavier Institute for Higher Learning. This would be a special sancuary where mutants could come to learn about their powers, accept who they are, and become productive contributers for humanity. It would later evolve into the main base of operations for his specially trained mutant team, the X-men. Under his leadership, he seeks to foster peace in a world that hates and fears mutants and defend against those who would seek war and destruction. 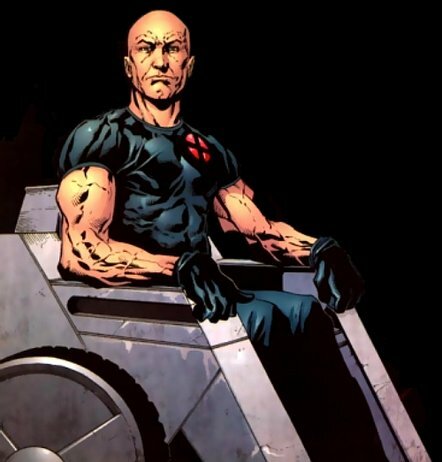 Character Breakdown: Professor Charles Xavier is a man of subtle contrasts. His telepathy makes him one of the most powerful beings on the planet, but his strength lies in his humanity. As a young boy he had two parents who taught him the values of logic and reason. When he lost them both at an early age it showed him that having power and money did not make him immune to hardship. This helped keep him humble as he refined his powers and sought his place in the world. Later on when he started traveling to wartorn regions with Erik Lensherr, he stepped further outside his protective shell and saw the very worst sides of humanity. He saw the horrors of war and the depths of human cruelty and rather than anger him, it inspired him. Xavier easily could have developed a hero complex, needing to right these wrongs with his vast wealth and abiliites, but then he gets cancer and everything comes crashing down. It is another ironic contrast that a man with so much power is rendered so frail by disease. Once again he is humbled, but in a much more profound way. He faces his mortality and this more than anything reinforces the point that even man of great power such as him is still human and this is what binds everybody together. In a sense, his character is centered around the strength of his humanity. More than anyone else, he understands how humans and mutants are still bound by their humanity and his capacity to reason with others and stir compassion stems from the humbling experiences he's endured. The contrast continues to identify him. He is the world's most powerful mind, but that mind is trapped in a frail body. Psychologically, his vulnerability as a human and his power both in terms of being a mutant and being rich create in him a sort of sage-like mindset. Some of his ambition may be a kind of frustration because he himself is not physically able to do what the X-men can do. It's a struggle of limitations, but he is and always will be bound by a powerful sense of humanity. It is a humanity he has instilled in the X-men and uses it constantly to guide him in his endeavors.